If you're a small business owner, you already know that getting your message in front of new prospective customers is hard. Luckily, the folks over at Google just released a tool that makes it a bit easier. They call them "posts" and they enable any verified location in a Google My Business account to post images, messages and special offers to people searching the web. A post is a promotion, or message you post from your business that will be displayed to users of Google search and maps on both desktop and mobile devices. Posts are kind of like your bulletin board, but their content can be discovered by people that didn't even know you existed. This ability to be discovered provides a real opportunity to be found by your target audience at the exact moment that they are looking for the products, or services you offer. What can you post to bring in new customers? Post are setup to allow for an image, message (up to 300 words) and the ability to add a call-to-action button that can prompt a viewer to take further action. The options for the call-to-action buttons as seen below include Learn More, Reserve, Sign Up, Buy, and Get Offer. All of them allow you to link to a webpage of your choosing. This creates an awesome opportunity for you to create compelling content and offers that bring new customers to your place of business. 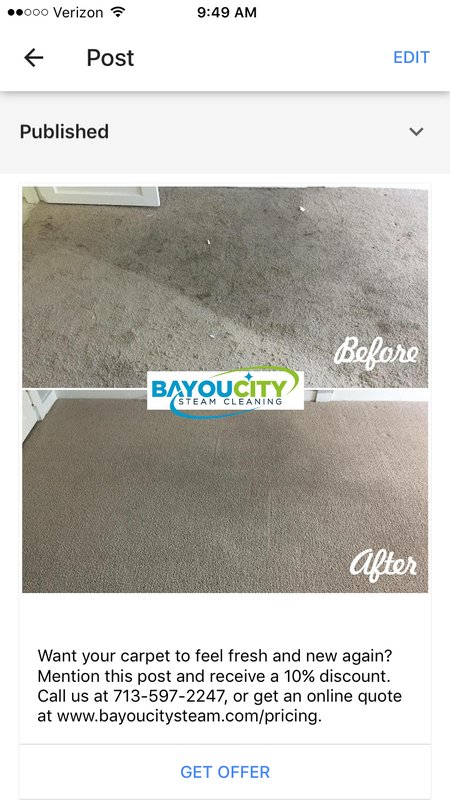 Here is an example from a carpet cleaning company. As you can see, they used uploaded an attention grabbing before and after image and created a 10% discount offer. This offer can now be seen by anyone who views this company via Google search, or on the map. Let's look at a few examples of the type of content that you can post to attract new customers. Now, I am not saying that all of this post types apply to all businesses. You have to use your judgement about what will work for your particular business and your specific target market. Not every post you make has to be a direct promotion of your business. If you have something to show or announce that you think customers might find interesting, go ahead. This could be a picture of something cool that happened at the office or a tip that you audience may find useful. Got an event coming up? If not, why not? As a small business, you have to constantly fight to stay top of mind with you customers and prospects alike. What type of event can you host that would be valuable enough for thee people to attend? Hint: It can't be all about you. If you make it about the attendees and truly create something of value for them, they will come. 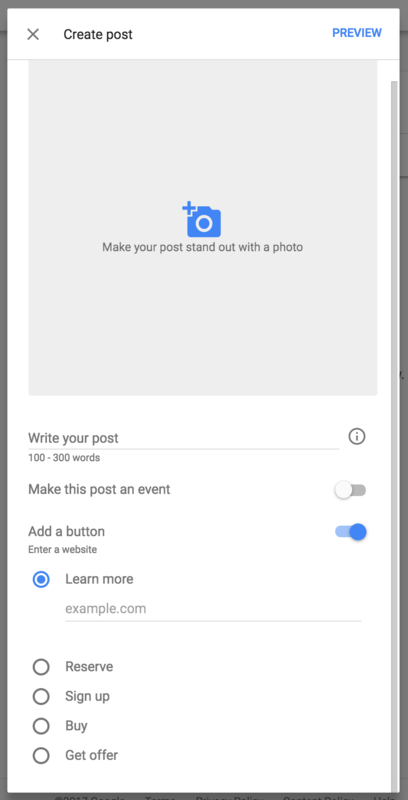 That said, now you can use Google posts to help promote your event. I wouldn't make this your leading event promotion strategy quite yet, but it is definitely a powerful tool that should be experimented with. When you are creating promotion posts for events, special offers, new products, and discounts, be sure that you take advantage of the Add a Button feature. This feature allows to to redirect an interested party from a search or map session directly to any webpage you choose. 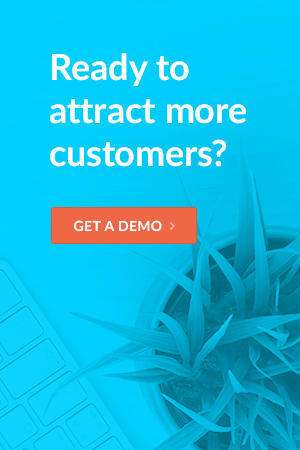 The type of promotion that you are creating will determine the most appropriate button to use. Whatever you do, make the offer compelling and DO NOT link it to your homepage. It must link directly to a page that it dedicated to your offer. Otherwise, the visitor will not understand where they were redirected to and will more than likely leave, forever. Use eye catching pictures and short, clear messaging. It is still to early to tell, but what do you have to lose? Invest some time and try out a few different post types and strategies to see what results you get. Right now this is brand new, which means that a lot of your competition is not yet using this strategy, yet. 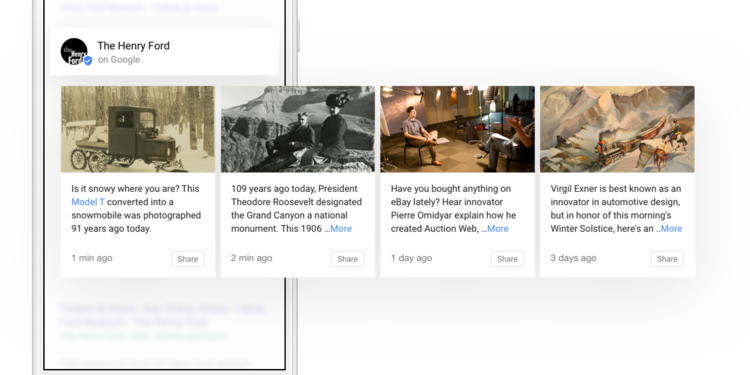 Get in and start experimenting with Google posts before they do. It just may be the thing that brings the next customer though your door instead of through the competition's.